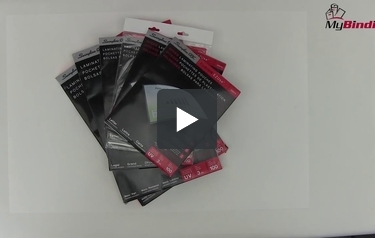 The GBC line of HeatSeal LongLife laminating pouches are the highest quality laminating pouches that we carry. These GBC Longlife Long Side Sealed Letter Pouches offer superb clarity and have added UV protection to help ensure that your documents last longer without discoloration and fading. Heatseal LongLife pouches are the ideal solution for protecting your presentations, lists, photos and menus. The ultraviolet protection in these pouches help Heatseal LongLife pouches to resist yellowing and fading up to 10 times longer than standard laminating pouches. These GBC Longlife Long Side Sealed Letter Pouches offer the best in clarity, protection, and rigidity and include a carrier in the box. Mil icons clearly identify pouch thickness to help you select best laminator settings. Letter size speed pouch is sealed on the long side enabling it to run through the laminating machine more quickly. Awesome. Easy to use and more than adequate. Love these thermal laminating sheets! 5 Stars Review by C.